Fernwood living is easy! a beautiful and quaint neighbourhood located in the heart of Victoria, BC. This area is the definition of modern, urban, family living. Complete with all levels of schools, community gardens, families with chickens, a neighbourhood village with attractions ranging from fine dining to local pub to active community center. 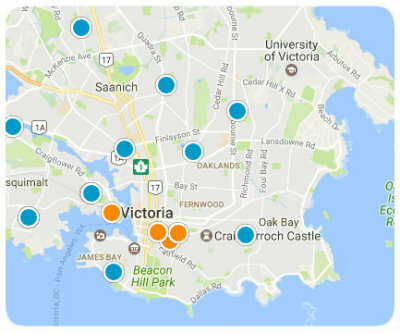 All this within a 15 minute walk to downtown Victoria. If you're looking for a Home with a decent lot close to town you are looking for a home in Fernwood.